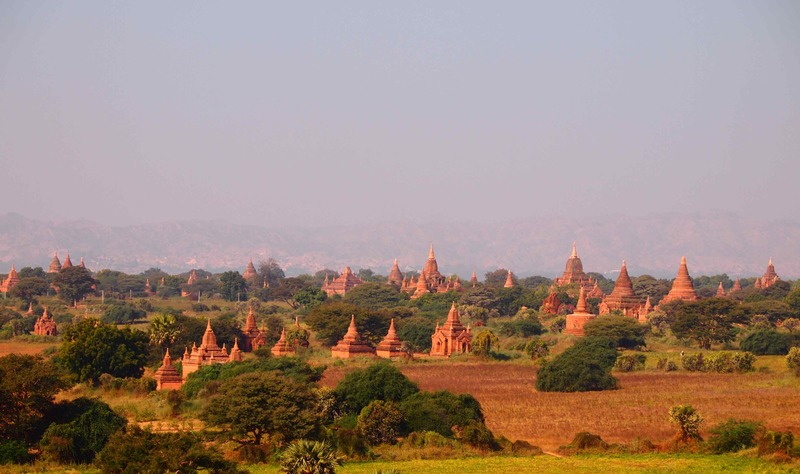 Bagan in Myanmar would have to be one of the most incredible places I have ever visited in the world. I don’t think I can actually do it justice in words or photos either. 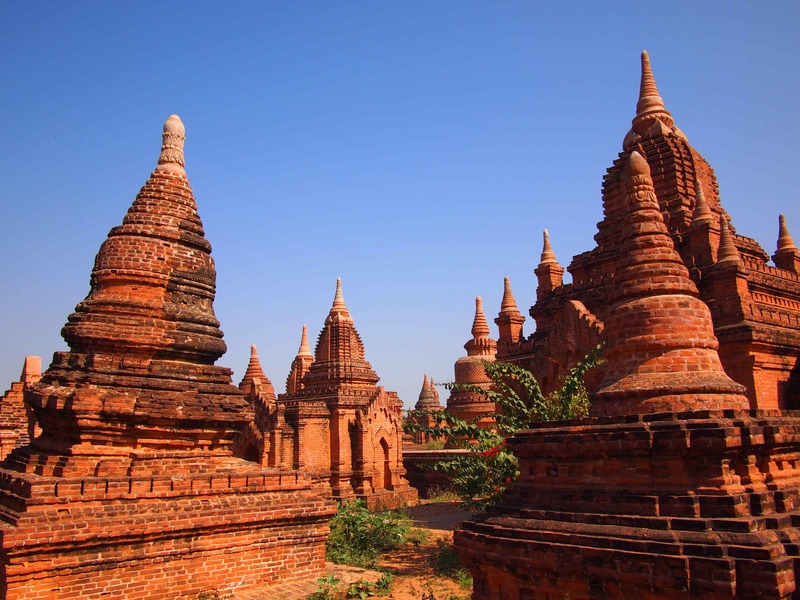 The ancient city of Bagan originally had about 4,000 pagodas and temples dotted around its countryside. While not all of these remain today, I can only imagine how incredible this town was in its heyday, as right now, it is simply incredible. 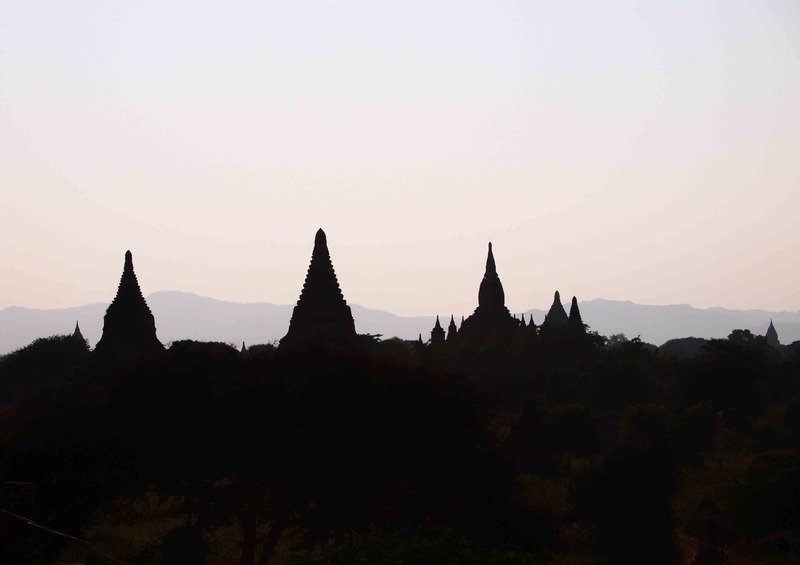 Driving into Bagan by Bus, I nearly gave myself whiplash looking at all the temples and pagodas that we passed. Everywhere I looked there wasn’t one, but about 10! It really is amazing, I never would have believed it had I not seen it. 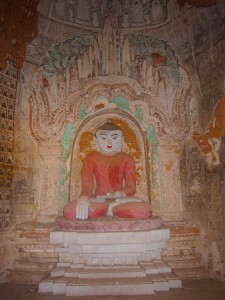 Construction of the temples and pagodas began in the 11th century when King Anawrahta converted to Buddhism and wanted to demonstrate his affection for his new religion. So began two centuries of building places of worship in this small town. 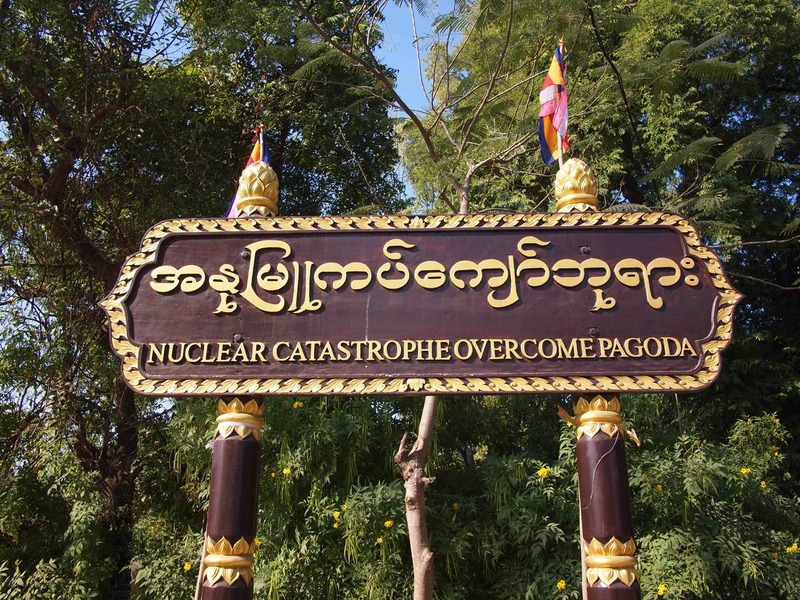 The town applied for UNESCO protection in 1996 but is currently only on the tentative list. I hope it happens soon because there are some strange restoration and modifications on the sites. In one I saw some rather horrible and badly positioned linoleum floor. On another there was what looked like a bit concrete just slapped onto a statue to amend it. While I appreciate that restoration here must be a mammoth task, it seems that more can be done to protect and ensure the monuments are not damaged over time. There are just so many monuments, most tourists ride around on bicycles, stopping to visit whatever monuments catch their attention. While all the tourists I saw here were respectful, I fear for what may happen as the country opens up and more tourists start pouring in. Most monuments had locked doors to protect them, but the key holder is thankfully rarely far away to let people in and watch over them. Those temples with preserved frescoes were not allowed to be photographed, to ensure the frescoes were preserved, so unfortunately I can’t show you those. That of course didn’t stop officials brandishing guns from taking photos, I saw one policeman take numerous flash photos despite the 8 signs that clearly stated “No Photographs”. 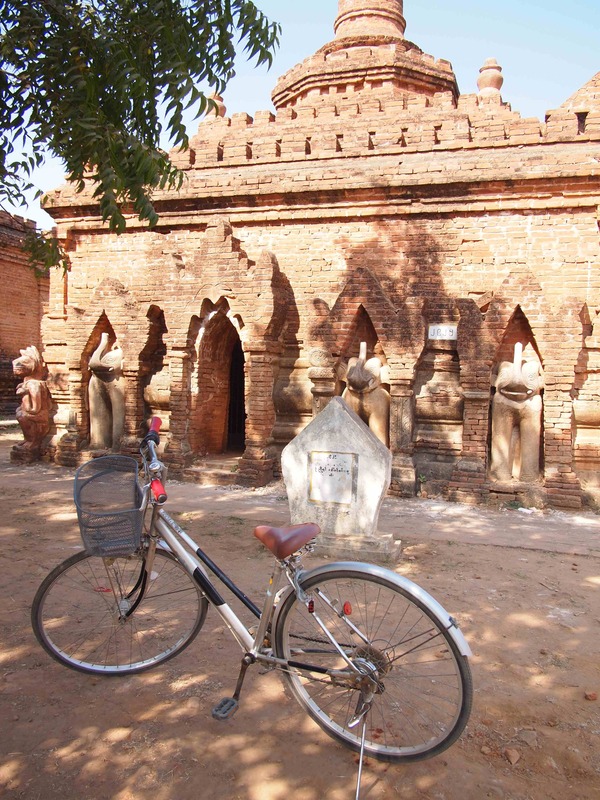 For now, Bagan is primarily a tourist town, but the number of tourists here is nothing compared to many other sites I have seen in other countries. While Myanmar is open for tourists, the numbers are still very low (1 million people in 2012), making it a great place to visit at the moment. Whilst there are the popular ones, I stopped past a few that were not labelled. 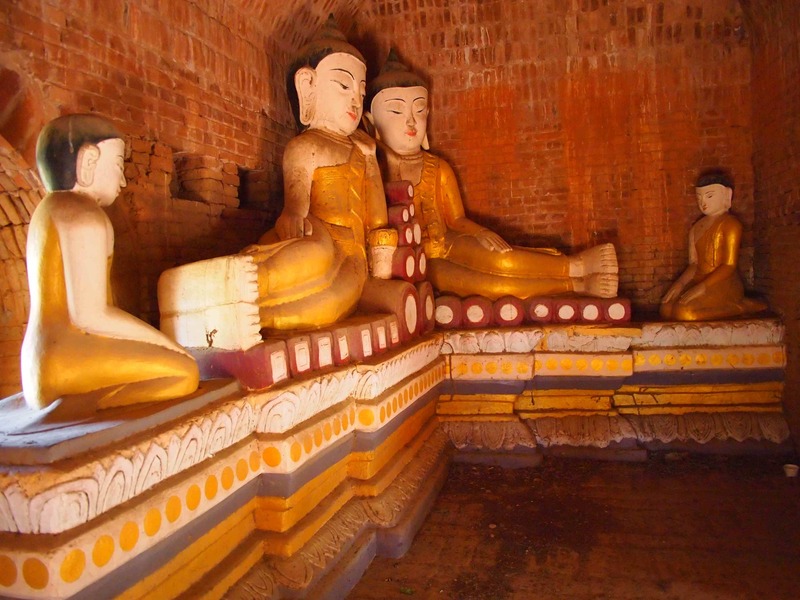 One had this fabulous set of Buddhas inside, the looked like they were having a chat. Of course there is also a temple for every occasion. 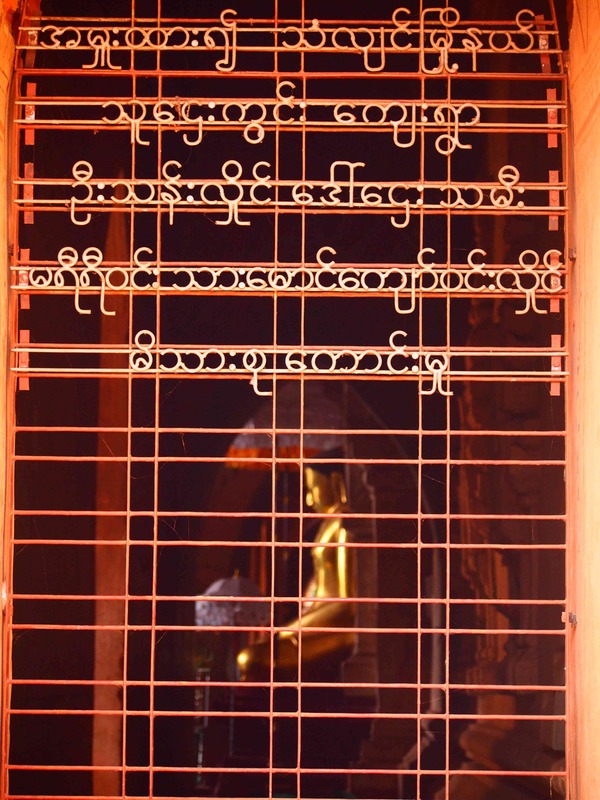 After experiencing Bagan, I can honestly say it is now in one of my top 10 places in the world to visit. Great post. 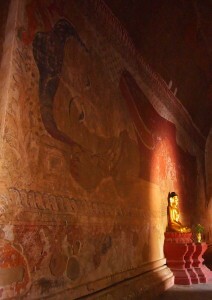 Bagan is surely amazing, and I don’t know if it superior to the temples of Angkor nowadays. It is a close call! Yes indeed it is a very close call. 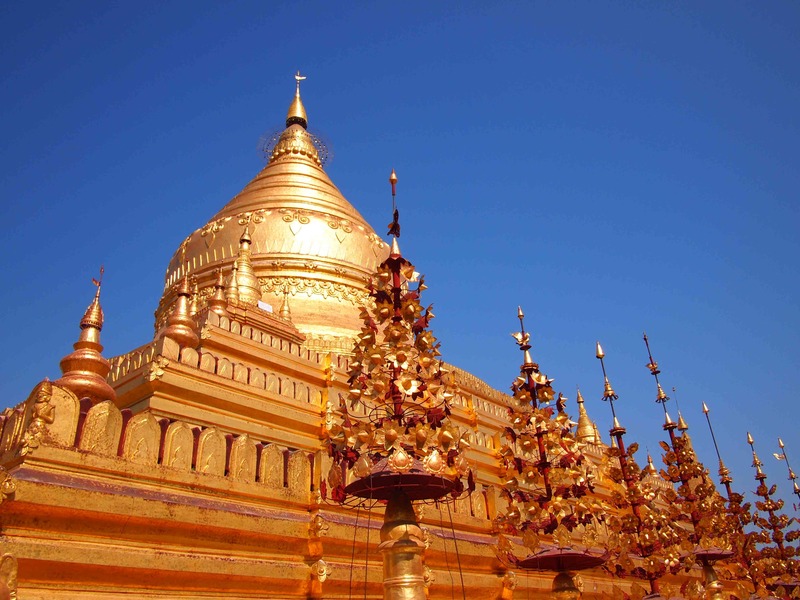 Burma as it is an intriguing destination and so much to offer. And now that it is opening up to tourists your concern about preservation of these monuments is very right. Thanks, let’s hope that they are looked after well.